Reincarnated as a detective, Ye Zhen Zhen stared dubiously at them all. Who was the murderer? Was it her? It…? Only one was the real murderer, but there was far more than just one culprit. I really like this novel so far. Our female lead has lost her memories and suddenly finds herself surrounded by unfamiliar people, of whom she can't seem to trust anyone. Her emotional struggles are portrayed very well and one really can feel her helplessness. 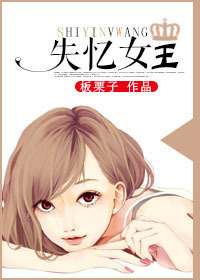 But even though there certainly is a lot of suspense and some darker moments as well, Zhen Zhen is by no means a gloomy or pessimistic person and this makes it fun for the reader to follow her journey as she finds out more about her... more>> surroundings, her past and her own self. The romance is very refreshing because it progresses extremely naturally. I always find myself waiting for the male lead to appear because he clearly manages to cheer Zhen Zhen up every time (and both of them are just way too cute). Last but not least, I have to mention that the translation is done beautifully and I really want to thank Kiseki for translating this novel.